Find your new home in Shadow Lake Village, an active adult community in Middletown NJ. 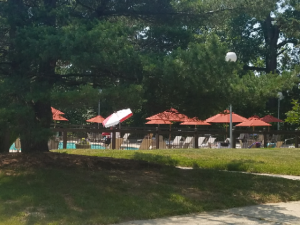 Shadow Lake Village is an active adult 55+ community in Middletown, NJ. This gated community is ideally located because it’s close to shopping malls, theaters, beaches, libraries, museums, and much more. The monthly association fee includes lawn maintenance, and snow removal, consequently, you don’t need to do it. Additionally, you’ll have use of the common areas and clubhouse. Shadow Lake Village was built in the 1970s, and there are 952 homes with about 30 different models. All of the homes are attached, as a result, the homes are condo ownership. The homes come with either 1 or 2 bedrooms, and some homes indeed, have a garage. Some of the home styles available are single level condos, and these can be either upper or lower level homes. There are also ranch style attached homes. This style home does not have a home above on the second floor. Additionally, there are also some townhouses with living areas on the ground floor and the bedrooms on the second floor. All homes in Shadow Lake Village are heated by electric. At the center of Shadow Lake Village is the clubhouse which is located on Shadow Lake. Fishing and paddle boats are available for residents use. Inside the clubhouse, the multi-purpose room is available for many activities. There’s a cozy library, exercise facilities and more. 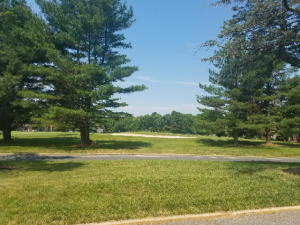 When the weather is warm, you’ll find tennis courts, and outdoor pool – even a nine hole golf course! In addition, your pets are welcome in Shadow Lake Village. A medical transport bus service is provided by Monmouth County, additionally a minimal fee is charged. Monmouth County also offers a free a bus service from each community to local supermarkets, shopping centers and malls. Also, if you need to go to New York, Shadow Lake is ideal because the Garden State Parkway with a Park and Ride is near. Also, train service is available at the Middletown station or nearby in Red Bank.